The American Lawyer - Doug Grad Literary Agency, Inc. When young San Francisco lawyer Jesse Hall is sent to Guatemala to observe the murder trial of the son of his firm’s newest (and shadiest) client, Jesse’s notion of a quick few days in an exotic locale is quickly shattered. For in this exotic locale—one of the most dangerous places in the Western Hemisphere—every question answered brings two new ones to be asked. Convinced of his client’s innocence, and against the direction of his firm and his client’s father, Jesse fires the Guatemalan lawyer and takes the case himself, with a twist—his co-counsel is the husband of the woman his client is accused of killing. With Jesse’s impending partnership on the line, he begins to unravel an international plot wrapped inside a cover-up within a conspiracy. He may have to bring down the Guatemalan government to win his case…but can he stay alive long enough to see his client freed? In this page-turning fish-out-of-water tale, The American Lawyer is a riveting read from page one, a tour de force of intrigue and suspense, with a new and menacing setting where being an American is even more hazardous to your health than being a lawyer. For John Martel, a well-known San Francisco lawyer, The American Lawyer is his first book in ten years. 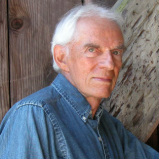 All of his previous books were San Francisco Chronicle bestsellers, hitting the New York Times list in paperback.